"Quality/Environmental/Occupational Health and Safety etc management" means what the organization does to ensure that: it operates in a consistent manner aimed at improving it performance; it works within a framework of plan do check act*; its products or services satisfy the customer's requirements and comply with any regulations applicable to those products or services. *NOTE: the procedure known as “Plan-Do-Check-Act” (PDCA) can be applied to all processes. PDCA can be briefly described as follows. 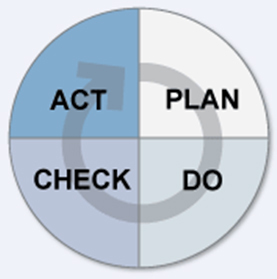 The Plan – Do – Check – Act (PDCA) cycle is the operating principle of ISO's management system standards. Plan – establish objectives and make plans (analyze your organization's situation, establish your overall objectives and set your interim targets, and develop plans to achieve them). Do – implement your plans (do what you planned to). Check – measure your results (measure/monitor how far your actual achievements meet your planned objectives). Act – correct and improve your plans and how you put them into practice (correct and learn from your mistakes to improve your plans in order to achieve better results next time). In the context of ISO 9001:2008 or ISO 14001:2004, “certification” refers to the issuing of written assurance (the certificate) by an independent external body that it has audited a management system and verified that it conforms to the requirements specified in the standard. “Registration” means that the auditing body then records the certification in its client register. So, the organization’s management system has been both certified and registered. Therefore, in the ISO 9001:2008 or ISO 14001:2004 context, the difference between the two terms is not significant and both are acceptable for general use. “Certification” is the term most widely used worldwide, although registration is often preferred in North America, and the two are used interchangeably. On the contrary, using “accreditation” as an interchangeable alternative for certification or registration is a mistake, because it means something different. In the ISO 9001:2008 or ISO 14001:2004 context, accreditation refers to the formal recognition by a specialized body – an accreditation body – that a certification body is competent to carry out ISO 9001:2008 or ISO 14001:2004 certification in specified business sectors. 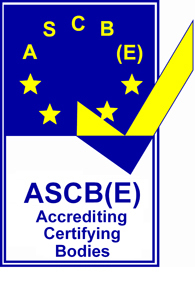 In simple terms, accreditation is like certification of the certification body. Certificates issued by accredited certification bodies may be perceived on the market as having increased credibility. Copyright © 2009 - 2019 ITCC International Limited.